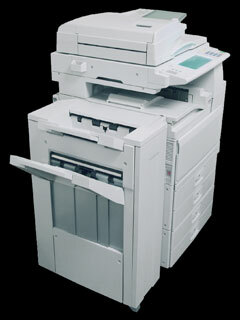 Buyers of multifunction printers can find machines to suit their needs, often at a deep discount, at eBay auctions. Multifunction printers are printers that can complete multiple tasks, including printing, faxing, copying, and scanning. To find the broadest variety of multifunction printers, buyers can simply put the words "multifunction printer" in the search bar. If there are functions that you don't need or want – for instance, if you don't want your multifunction printer to include a faxing ability – you can narrow your search by using the "-" search operator. For example, specifying "multifunction printers -fax" would call up all auctions that include the words "multifunction" and "printers" but do not contain the word "fax."